One of my favorite restaurants is Joe’s Stone Crab in Miami (not to be confused with Joe’s Crab Shack). Will Smith once said that Joe’s was his favorite place to eat. For one hundred years, Miami natives and tourists alike have dined alongside celebrities including Frank Sinatra, Muhammad Ali and Jennifer Lopez. Joe’s has been a south beach institution since 1913 and it’s one of the top 10 must-visit restaurants in Florida! 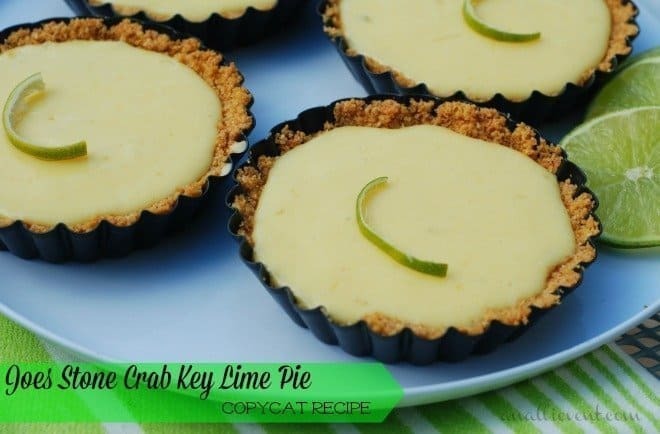 I actually made these mini key lime pies as an early birthday surprise for my son-in-law because I knew I would be out of the country on his birthday. He simply loves these! And I’m up for the mother-in-law of the year award because I take my own advice. You can read it here! To make crust, mix the graham cracker crumbs, sugar and melted butter together and press firmly to bottom and sides of pie plate. Set aside. In mixer with wire whisk, beat egg yolks and lime zest on high speed until very fluffy (about 5 minutes). Gradually add the condensed milk and beat 3-4 minutes longer. Lower speed and gradually add the lime juice until combined. Pour into crust and bake 10 minutes. Cool and then refrigerate until well chilled. Helpful Hint: You can also buy a ready made graham cracker crust or bake them in small pans like I did so that everyone gets their own! I tried to find the tiny tart pans with the removable bottoms, but couldn’t. Also, never, ever use bottled lemon or lime juice when making a pie. It will give it an artificial, yucky taste. And if you don’t have key limes on hand, go ahead and use the juice from regular limes. It’s not quite the same, but really close. Key limes are not just limes grown in the keys. Actually, it’s a specific variety of lime. Read all about key limes here! Time to give it up! What’s your favorite pie? These sound so good! I’ve never been to Miami, but if I ever make it I’d love to try this place. My husband loves sea food. If you ever get the chance, go! It’s a great restaurant. You certainly are up for the Mother-in-law of the year award! Those look super duper good! 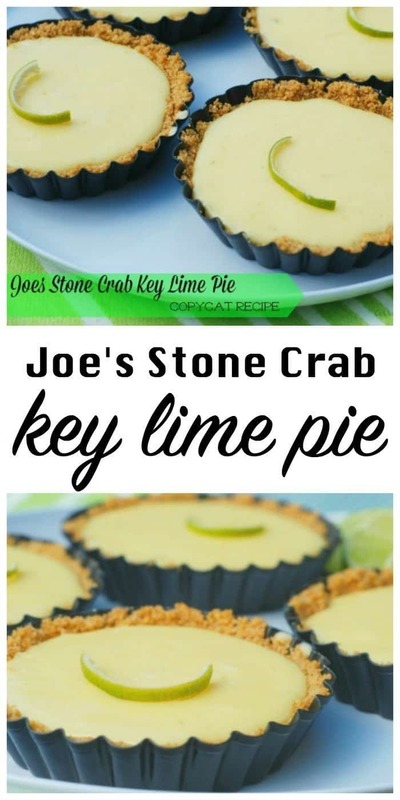 Pinning so I can make these for my hubs who loves anything Key Lime! 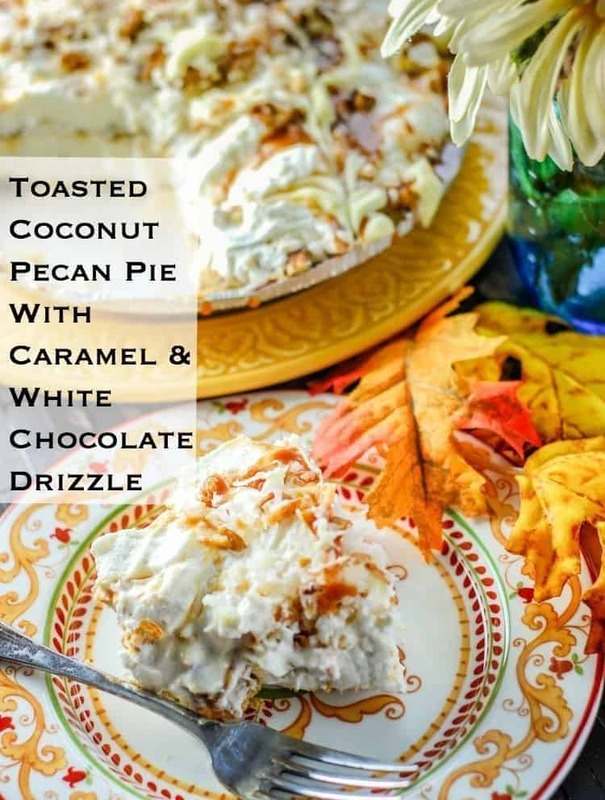 It’s my hub’s and my son-in-law’s favorite dessert and it’s so super easy! I’m so glad Josh loved them! These look great! I’ve never been to Miami, but if I ever do, I’ll be sure to eat there. And when you go, make sure you wear that awesome orange tunic! It’s awesome! 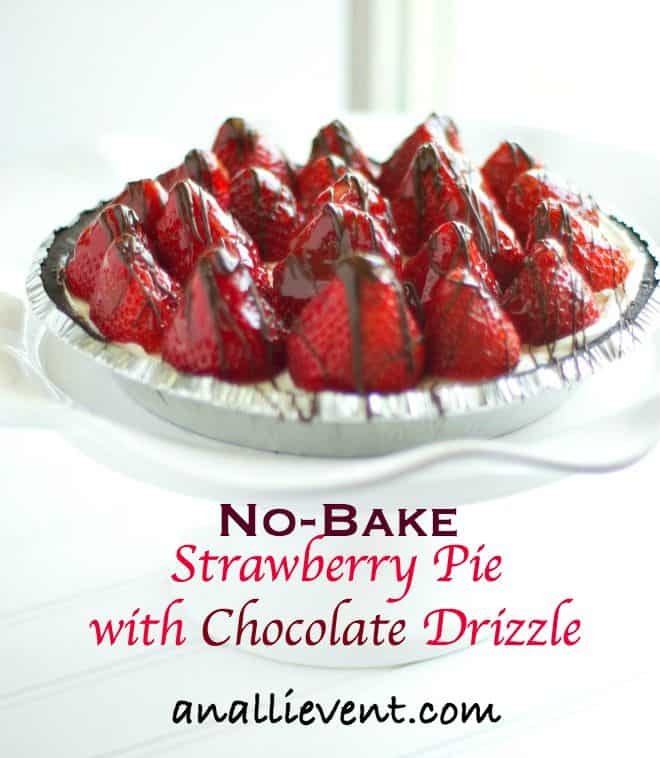 Alli I love key pie and you’re killing me softly looking at these delicious pies! Your son-in-law is one lucky guy! I never been to Miami before, but it is on my bucket list of places to visit. And I’m loving your summer travel series! This sounds so yummy! I’ve never been to Miami but if I do I am going to Joe’s Stone Crab. I’ve pinned . I’ve never eaten there, but these are SO cute!!! Kristen from The Road to Domestication recently posted…Easy Does It! Key Lime Pie is my number one fav dessert in the summer! I will def be making this at the beach! Goes great with the beach! These look delicious I pinned them so I wont forget the recipe! I have never tried any citrus pie, I think it’s time to step out of my comfort zone! 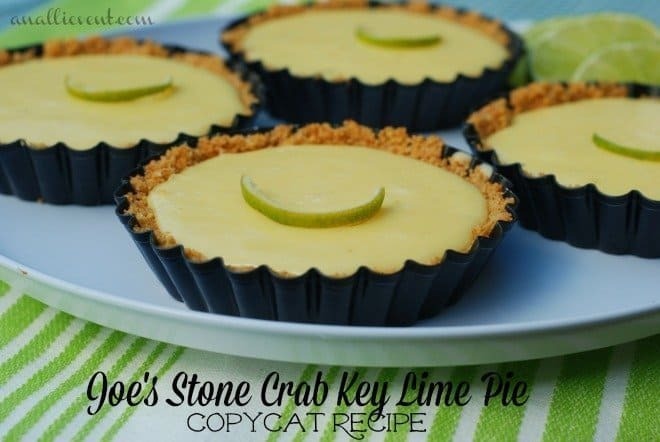 I don’t think I have ever mad key lime pies before – but anything with lime or lemon sounds good to me!